20 Beautiful Free Wall Art Printables - A Great Free Printables Resource! 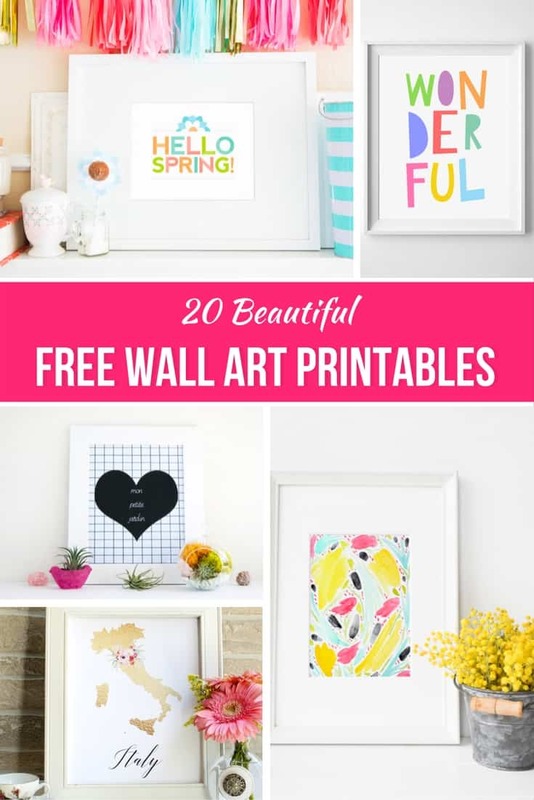 20 Beautiful Free Wall Art Printables – A Great Free Printables Resource! Decorating your home doesn’t have to be expensive, as a matter of fact thanks to this round up of 20 Beautiful Free Wall Art Printables it can be free! So check out this great round up of Free Printables. Finding the perfect decorations for a room can be hard. Many times we tend to think more is better, when in reality you can grab simple sleek and perfect prints that will make any room shine. These simple prints can change a room completely. Although prints can run you 100’s of dollars and some think it might break the bank to fill your home with some glam prints. It doesn’t have to be expensive or hard to do. As a matter of fact, thanks to the following pages it can be free! Thanks to these great pages you can print some fun pictures that will make any of your rooms look trendy and chic. Best of all they’re free. So check out this round up of 20 Beautiful Free Wall Art Printables that you can use to make any room look amazing without breaking the bank. Just add a fun frame and you’ll have a decoration piece that looks like you got it at a trendy & expensive store. There’s also some great holiday themed printables in the list below including some fun Halloween and Christmas Art to get you into the spirit of the season. So check them out and get to decorating because best of all they’re all FREE! Finally, Looking for other great decorating ideas? Check out 20 Ingenious DIY Wood Pallet Projects. I love these! We just moved into a new house and my walls are way too blank for my liking! 🙂 Thank you so much for sharing! Free printables are the best–I’ll have to check some of these out! Nice list!! I can see myself using some of these!now I need a printer! I’ll have to check these out! They look like they would make cute gifts too! Thank you! Thank you for this! The jellyfish are my favourite! These are pretty neat! I love the citrus one. Great,easy, and inexpensive way to add a little decorating around the house. My favorite way to decorate is easy and inexpensive!! Thanks for sharing! I love the map art and the talk nerdy to me art. I was excited for the Halloween art but it left me disappointed. Theses are great! I’m always looking for free printables to use around the house and love the versatility of the ones you’ve posted!